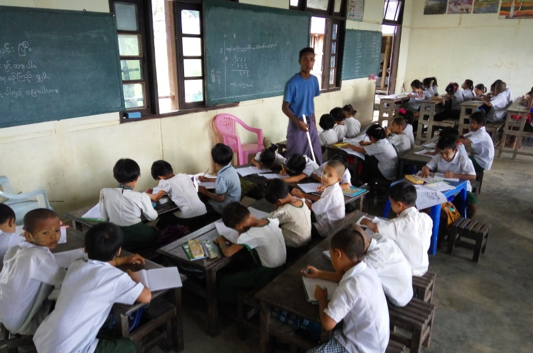 Thit To Chaung ist eine Primarschule mit vier Klassen (1.-4. Stufe) und Kindergarten. 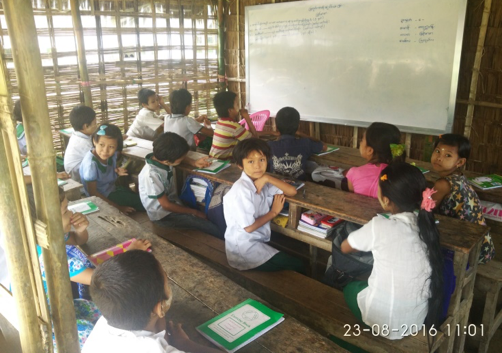 Die Schule verfügt nur über ein richtiges Schulgebäude, welches teilweise zerstört und von 600Kids.org renoviert wurde. Die Schule braucht dringend weitere Klassenzimmer um alle Klassen und Kindergarten unterzubringen, wovon eine zurzeit in einem temporären Unterstand unterrichtet wird. Die sanitären Anlagen sind teilweise nicht funktionsfähig und müssen erneuert werden. 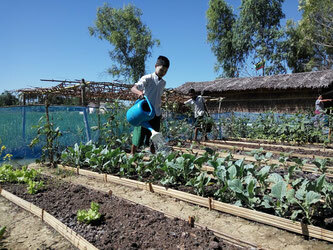 As a pilot project 600Kids.org provided seeds and tools to grow vegetables in school gardens (horticulture) in four schools – Thit To Chaung, Ma Lot, Min Hla Su and Kwin Gyi – with the aim to continue future school feeding with vegetables harvested from school garden as a sustainable source. 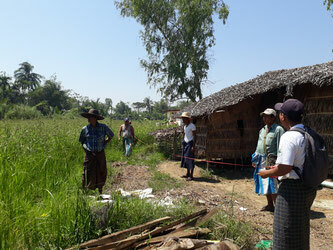 Children are taking part in plantation so they are able to learn about agriculture practically. 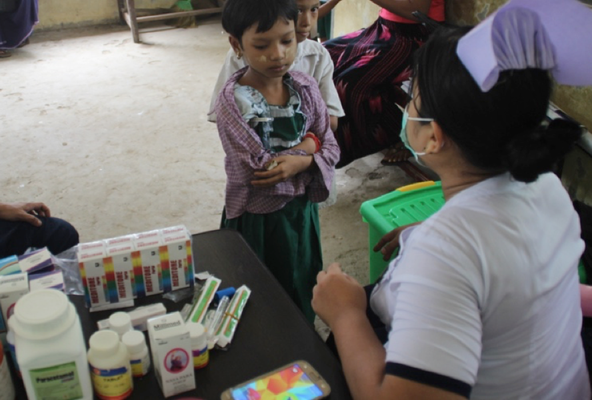 School health activity in cooperation with the Health department was continued in the schools Ma Seine and Thit To Chaung. 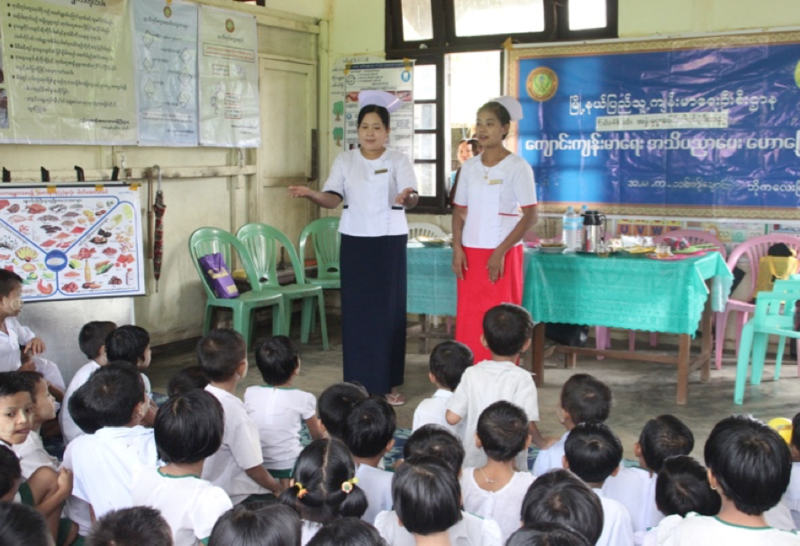 This included Health education about personal hygiene to prevent against communicable diseases and medical staffs carrying out medical examination for schoolchildren and medication for those who need treatment. Health education session encompasses on current out-breaking diseases such as dengue fever and seasonal influenza. 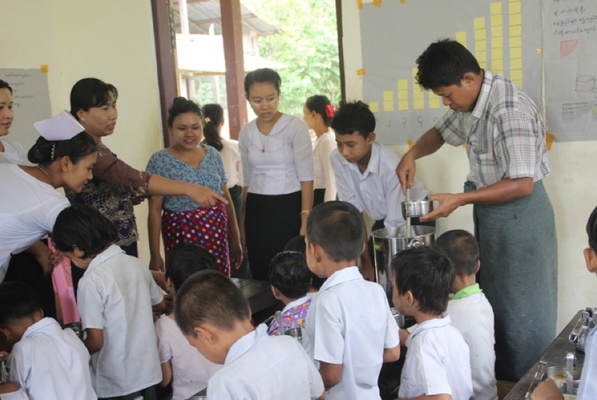 In August, nutrition programme which is one of the components of school health care was also conducted in partner schools. 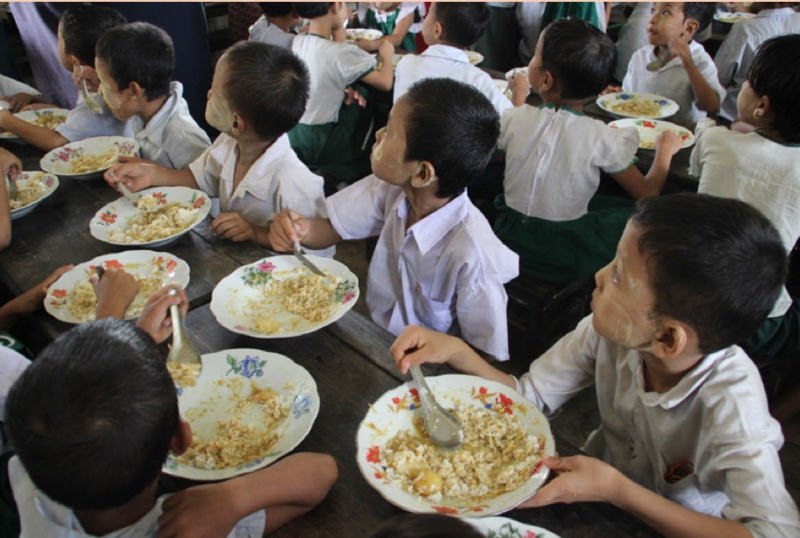 Nutrition awareness education and school feeding were supported to schoolchildren at the primary level classes. Parents involved in cooking local nutritious food to serve children at schools. 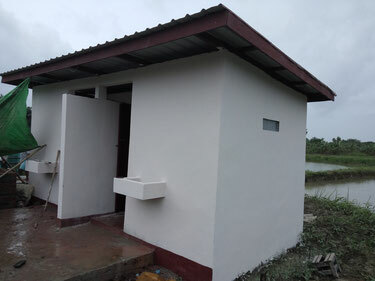 600Kids has build toilet block for Thit To Chaung Primary School in order to fulfill insufficient sanitary facility there.